The German news agency DPA reported the bomb was defused, as planned, underwater on Sunday, which led to a loud detonation and a big water fountain on the river. Police told DPA "the bomb is no longer a danger." 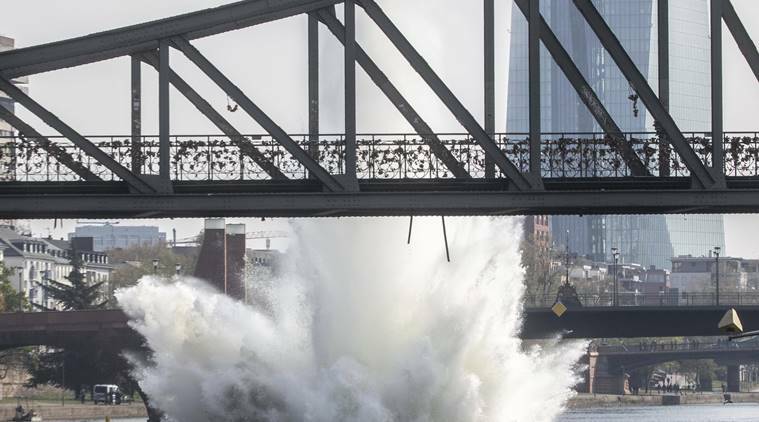 Berlin: Some 600 people have been evacuated from their homes in the old city of Frankfurt so specialists could remove a World War II-era bomb that was discovered in the Main River.